So you are planning a wedding in Fort Lauderdale and love the idea of a high end wedding in one of Fort Lauderdale's luxury hotel resorts. Fort Lauderdale has hundreds of hotels popular with both locals and visitors to Florida alike. As one of the top three wedding photography studios in Fort Lauderdale, we've had the pleasure of photographing weddings at every Fort Lauderdale hotel. 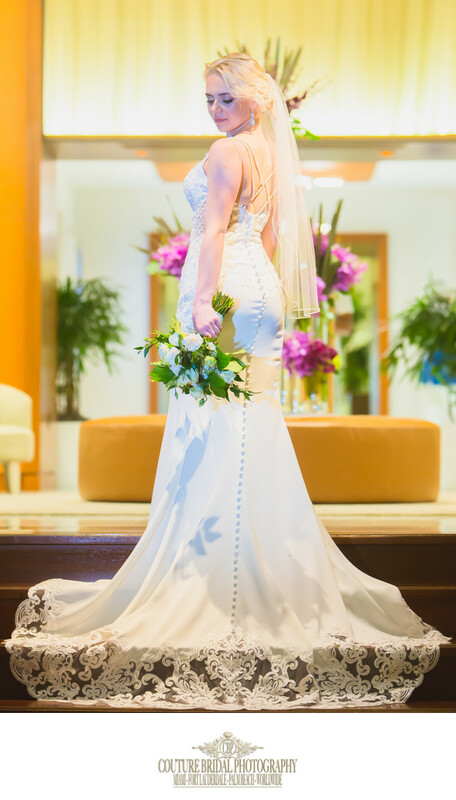 Since 2008 Couture Bridal Photography has been the most preferred professional wedding photographers in Fort Lauderdale and we want to share with you everything you need we know about weddings at Fort Lauderdale Hotels. Why have a wedding at a Fort Lauderdale Hotel? The best reason to have a wedding at a Fort Lauderdale hotel is having a venue that can host a beautiful wedding ceremony and reception in one location. Additionally, being able to stay on the hotel property allows you to have a bridal suite for the bride and bridesmaids to get prepared, as well as the grooms and groomsmen. 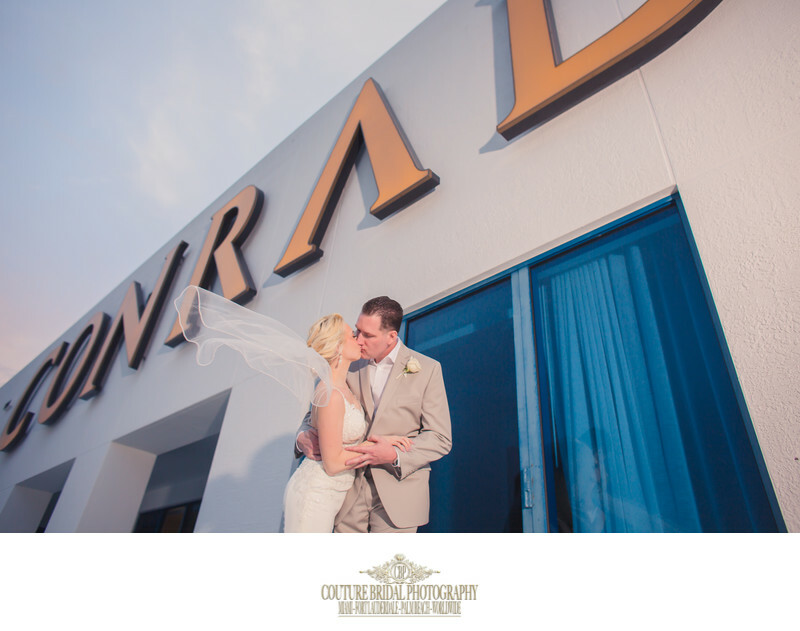 Another benefit of getting married a Fort Lauderdale hotel is guests can also stay on the hotel property and enjoy the amenities and activities leading up to wedding day. Since many of your family and guests may be arriving from out of town, this allows family and friends to spend time together, catch up and participate in a wide variety of activities together. Planning a wedding at a Fort Lauderdale hotel also makes dealing with caterers and wedding planners a thing of the past, since most hotels will have a catering manager, catering and wedding day planner to arrange everything for your wedding, even if you are coming from out of town and having a Florida destination wedding. How do I choose the best Fort Lauderdale hotel for my wedding? The best way to choose the best Fort Lauderdale Hotel for your wedding is to start researching the various hotels and their locations in Fort Lauderdale. Fort Lauderdale has a variety of Hotels from Ocean front resorts to luxury boutique hotels in downtown Fort Lauderdale. Your decision for which Fort Lauderdale hotel to host your wedding at depend on whether you want a beach front wedding or not, how many guests you intend to invite and your wedding budget. These factors will influence which hotel you choose for your wedding. Using Google to search "Fort Lauderdale Hotels" will provide you with a list of Fort Lauderdale hotels to begin your research on location, capacity, menu options, services, amenities, cost and available dates. Using this information you can make an informed decision on which Fort Lauderdale Hotels you want to visit by scheduling a walk through and consultation. Since we are Fort Lauderdale Florida's top wedding photography studio, we are repeatedly asked, "which Fort Lauderdale Hotels are our favorite for wedding photography?" After being asked this question consistently by the hundreds of brides and grooms that book us, we decided to create a "top 5 list of our favorite Fort Lauderdale Hotels for wedding photography". Ritz Carlton Fort Lauderdale - The Ritz Carlton Fort Lauderdale is a 5 star hotel resort located along Fort Lauderdale Beach. This luxury hotel offers amazing views, interior decor and amazing locations in and around the hotel property for extremely dramatic and artistic wedding photography. The Ritz Carlton Fort Lauderdale has amazing menu items for wedding reception dinners that will please any palate. The bridal suites are large and allow us to create some of the most amazing getting ready photos of the bride and groom as they prepare for their wedding ceremony and reception. Pelican Grand Beach Resort - The Pelican grand beach resort is located right on the beach and offers brides and grooms a classic yet exciting wedding venue with beach front and roof top ceremony options along with a newly renovated ballroom. The Pelican grand Beach resort has spacious bridal suites and beautiful lounge area with rocking chairs facing the ocean from its patio deck. Conrad Fort Lauderdale Beach - The Conrad Fort Lauderdale Beach is the newest property located on scenic Fort Lauderdale Beach. This spectacular property offers Penthouse suites suitable for large bridal parties or small intimate weddings with ceremonies on the roof top wrap around balcony and small dinner wedding receptions. The pool area offers and incredible open space with a full bar and incredible views of the Atlantic ocean. The Conrad Fort Lauderdale Beaches lobby and bar offer great options for spectacular wedding portrait photography. Fort Lauderdale Marriott Harbor Beach Resort & Spa - The Marriott Harbor beach resort and spa is another spectacular hotel for weddings with its expansive property that offers brides and grooms 20 event rooms to choose from for their wedding receptions. The harbor Beach resort offers over 49,000 square feet of event space with a capacity of over 1800 occupants in its grand ballroom. Couples can choose a beachfront wedding ceremony, plan rehearsal dinners with chef inspired menu options and receive wedding planning assistance from experienced in-house wedding planners. This Fort Lauderdale hotel offers amazing amenities and activities perfect for out of town family and guests attending your wedding day. Hilton Fort Lauderdale marina - The Hilton Fort Lauderdale Beach resort is a wedding venue favorite of brides and grooms local and from far away. The Hilton Marina offers 5 wedding reception options four of which are indoors and one on the Marina outdoors on the water. The largest ballroom can host 450 occupants for the largest of weddings. Brides and grooms to be can choose an outdoor poolside wedding ceremony or indoor, with an indoor wedding ceremony option as a backup for inclement weather. The hilton Fort Lauderdale Marina hotel and resort offers special preferred rates for rooms to host your family, friends and guests attending your wedding. Additionally, a bridal suite is included along with complimentary valet parking on your wedding day. There is no better choice for your Fort Lauderdale Hotel Wedding Photography studio than Couture Bridal Photography. As the best Fort Lauderdale hotel wedding photographers, we provide the best wedding photography prices, wedding photography hours of coverage, wedding photography services and wedding photography options in Fort Lauderdale, Florida. 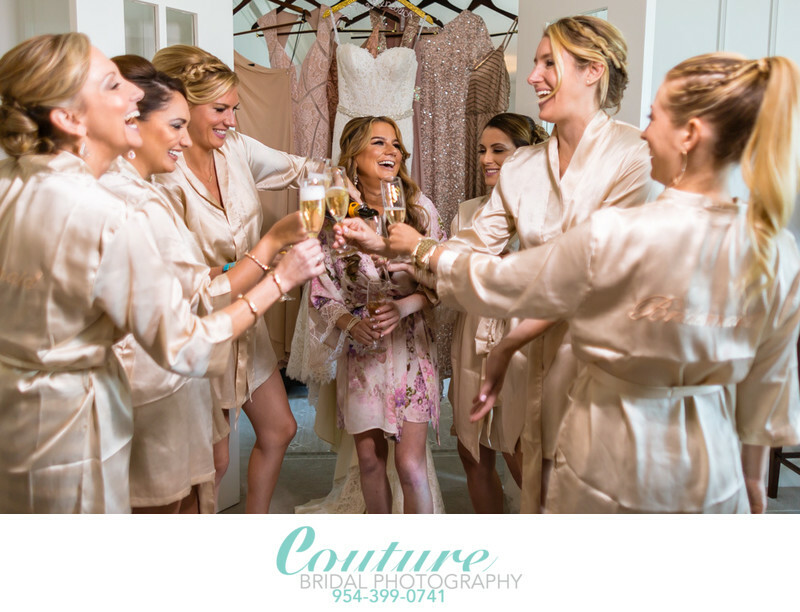 Couture Bridal Photography is home to the top rated Fort Lauderdale hotel Wedding photographers, who are experienced, skilled and have a passion for capturing the most important and special moments throughout your wedding day. Couples also receive the best value on additional services, including the best on-location Fort Lauderdale hotel wedding day hair and makeup artists by Couture Bridal Beauty's stylists. 1/125; f/2.8; ISO 1250; 80.0 mm.